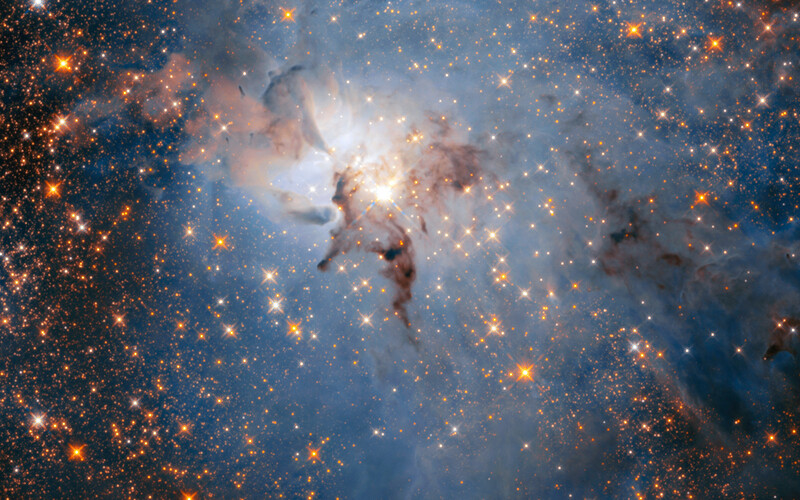 To celebrate its 28th anniversary in space the NASA/ESA Hubble Space Telescope took this amazing and colourful image of the Lagoon Nebula. 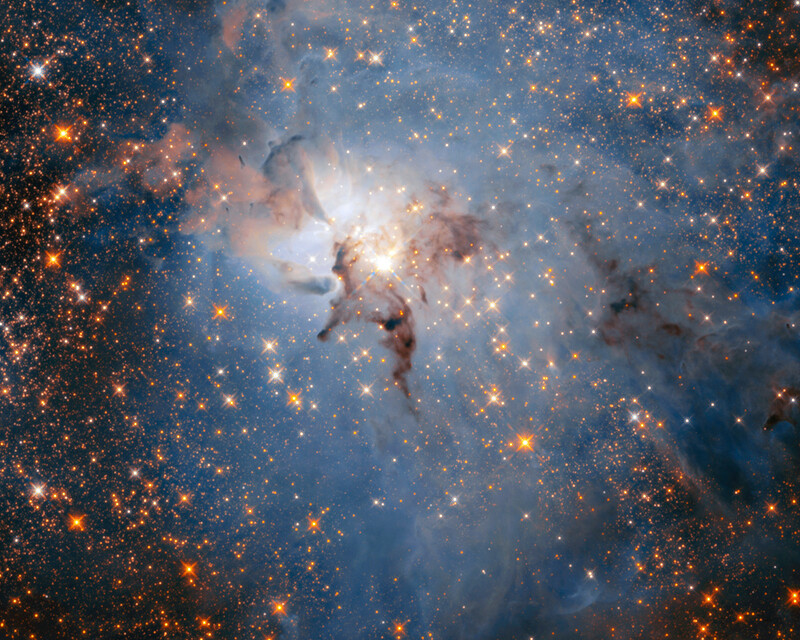 Using its infrared capabilities, the telescope was able to peer through the thick clouds of dust and gas. 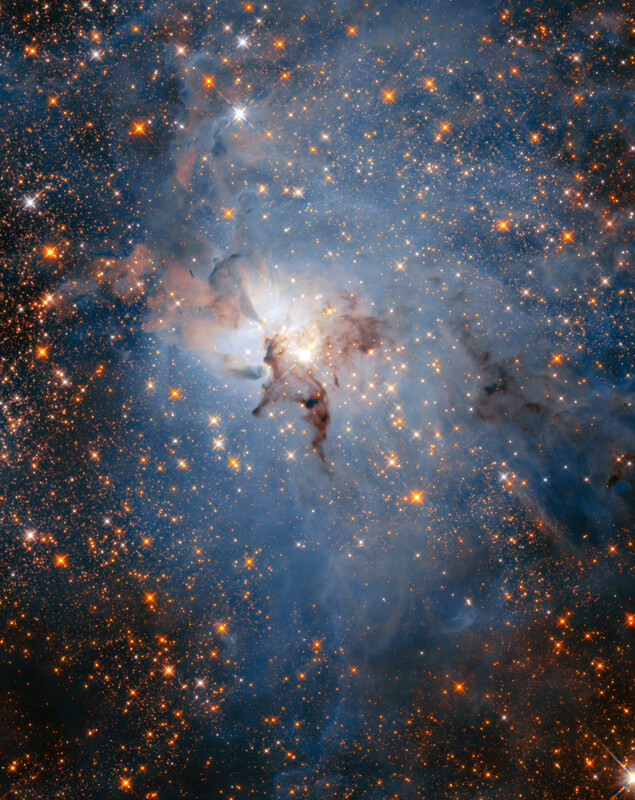 The most obvious difference between Hubble’s infrared and visible images of this region is the abundance of stars that fill the field of view in the infrared. Most of them are more distant, background stars located behind the nebula. 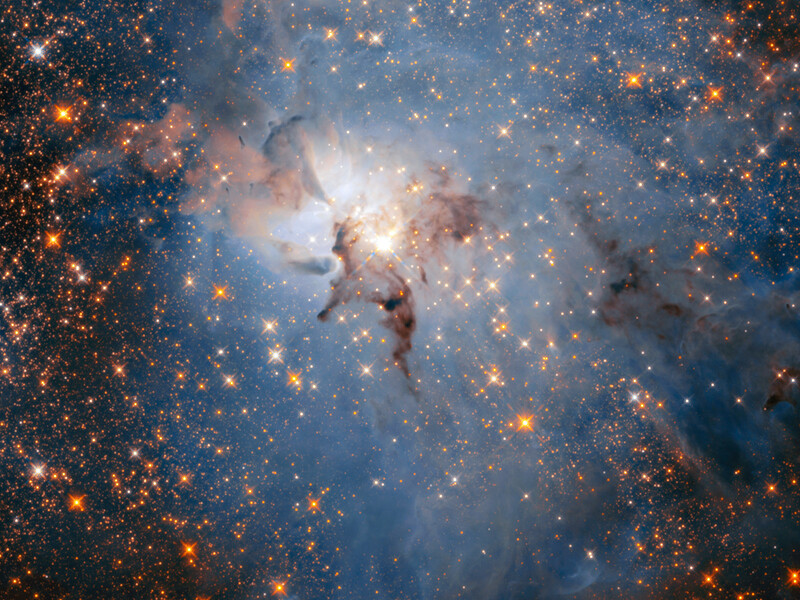 However, some of them are young stars within the Lagoon Nebula itself. Position (Dec): -24° 22' 49.71"